In Australia, we don’t have the worries about water safety that you find in other areas of the world. While our tap water may be safe, this doesn’t mean that it tastes good. Poor tasting water doesn’t encourage us to drink more and harness the amazing potential health benefits. Fortunately, the Zip Hydrotap Arc can transform your tap water from ordinary water to a delicious and pure tasting beverage. The Zip Hydrotap Celsius Arc is a smart addition to your kitchen, providing chilled, sparking and boiling water in an instant. This will encourage your entire family to drink more water and enjoy the plethora of health benefits associated with proper hydration and reducing your intake of sugary drinks. Research has shown that consumption of sugary sodas can create difficulties with weight management and can encourage childhood obesity. Since the Zip Hydrotap provides delicious drinking water, you can encourage the whole family to develop good habits and banish the soda from your home. If you’ve wondered what makes the Zip Hydrotap Arc the most advanced drinking appliance in the world, you’ll be amazed at the technology housed in this sleek design. The Zip Hydrotap is an innovative combination of DryChilling, Core Cold Carbonation and PowerPulse boiling technologies with MicroPurity filters. This Australian made appliance harnesses the latest technology to create delicious, pure tasting water instantly. The under cabinet housing contains an interactive display, 0.2 micron filter and activation controls for the energy saving modes and boiling water safeties. Regardless of whether you’re considering an all in one arc for your workplace or kitchen, there is a style to suit your personal preferences and decor. 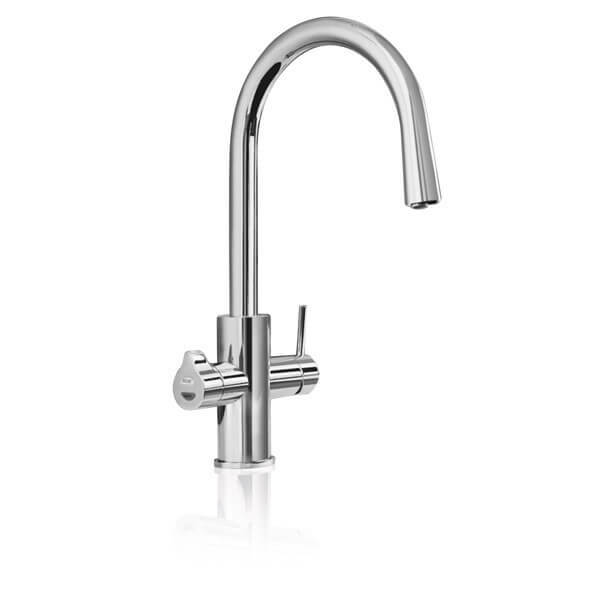 The Zip Hydrotap is available in a number of different designs and contemporary colours. This ensures that you can complement your personal style with a choice of sleek designs and innovative features. The Zip Hydrotap can also help you to achieve an attractive aesthetic for your kitchen. There is no need to fill your fridge with water bottles and clutter your countertops with a kettle and annoying cords. The Zip Hydrotap Celsius will help you to create a clutter free, safe environment that is a credit to your kitchen. If you would like to know more about the benefits of the Zip Hydrotap Celsius Arc, you should speak to us. The Aussie Natural Filtration team members are on hand to address any queries, discuss the available Zip Hydrotap All in One ARC options and answer any further questions you may have. We would be delighted to help you transform your tap water and introduce your family to the naturally delicious taste of Zip Hydrotap drinking water.